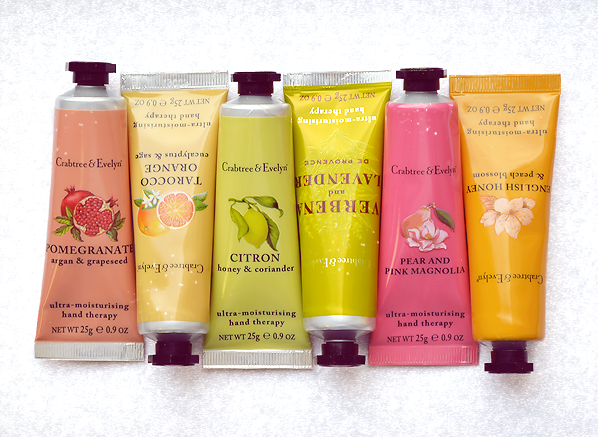 Stocking fillers are the staple of everyone’s Christmas gifting arsenal. Whether you’re buying add-ons for larger presents, small tokens for work friends, or you need to stock up on bonus gifts for those unexpected recipients, this Christmas you’ll undoubtedly be in need of a present that’s budget-friendly, but still seriously impressive. Give them an instant new season nail update with the truly gorgeous Guerlain Gold Leaf Effect Top Coat. 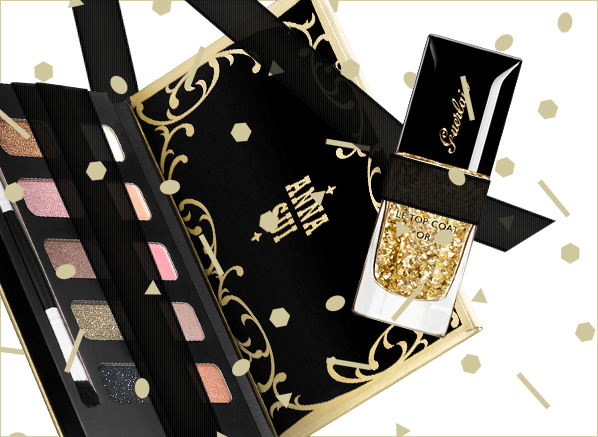 Part of Guerlain’s ‘A Night at the Opera’ Christmas make-up look, a collection full of plush velvet reds and glistening golds (see the swatches here), this top coat dresses nails with a breathtaking gold leaf effect. 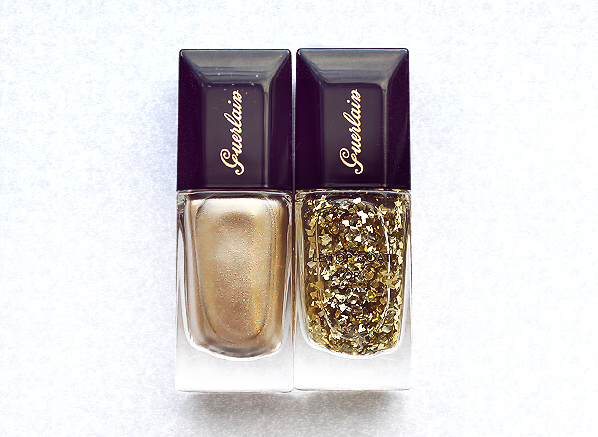 Its sister colour Coque d’Or (above left) makes nails sparkle with slinky molten metal. Forget glitters and beads, this season it’s all about gold! If you can stretch to a smidgen over your £20 budget, this gorgeous gift set is a great choice. All About Eyes features a full-sized version of Clarins’ newest mascara innovation, Be Long, which delivers dramatically longer, stronger and volumised lashes, plus luxury miniatures of the Instant Smooth Perfecting Touch to smooth fine lines, Eye Revive Beauty Flash to perk up and decongest delicate skin, and a lovely little makeup bag to keep them all together. It’s the ideal gift for those braving the Christmas and New Year party season! You’ve probably heard all about the Nuxe Reve de Miel Lip Balm from your favourite beauty bloggers. A true cult classic, this little pot of indulgent shea butter and honey cocoons lips in optimum softness for hours – and does it all with a comfortable, matte finish. This introductory set features the balm with the matching Reve de Miel Hand Cream for instant comfort and softness with a subtle scent. For colour make-up mavens, there can’t be a better gift than a palette – especially a palette that lets you mix and match your own colours! 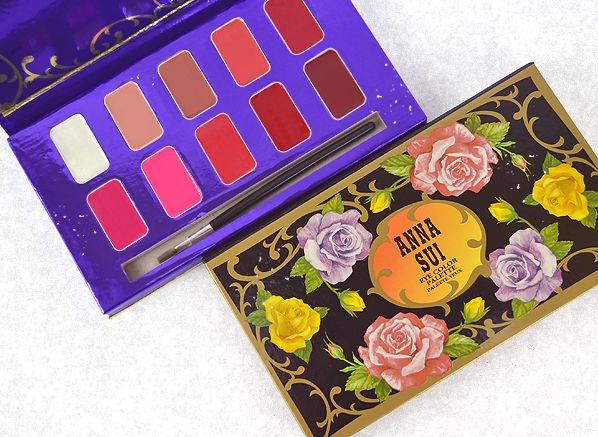 And that’s exactly what you get with these eye and lips palettes from Anna Sui, each a gorgeous selection of ultra pigmented, long-wear colour with opaque finishes – subtle and glossy for lips, and rich and velvety for eyes. There’s a whole spectrum of shades available – see our swatches here. If they colour their hair, this is a great idea – the gift of more time between hairdresser sessions! The BC Bonacure Color Freeze Gift Set contains three essential products that boost colour, prolong its lifespan and protect it from heated tools, working to provide up to 90% colour retention. Inside you’ll find the Rich Shampoo, Spray Conditioner and pampering Treatment infused with liquid silk extract. Giorgio Armani Minis, £15.95 . Sold out! This perfectly proportioned gift is absolutely darling. Containing four bestselling Armani scents from across the Giorgio Armani and the Emporio Armani ranges, it’s an ideal way to experience the best of luxury fragrance. 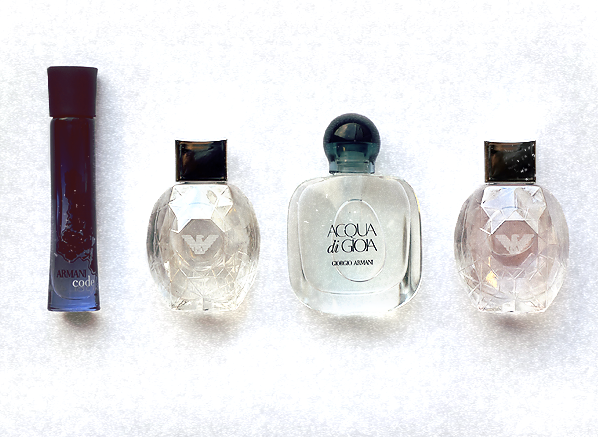 Get glamorous with Code, be dazzling with Diamonds, get fresh with Acqua di Gioia and be flirty with Diamonds Rose, each in dinky sizes that are ideal for the handbag. Slightly more grown up than their last offerings Our Moment and That Moment, You & I is a delectable fruity-floral scent with a sophisticated edge. The sparkling and romantic fragrance is perfect for fans of One Direction, capturing the sweetness of their ballad You & I in a cascade of mango, grapefruit, osmanthus, peony and creamy praline. And what’s more, at the moment there’s a free make-up bag with the purchase of every 50ml or larger! Give them some sunshine on Christmas morning with the bright and beautiful L’Occitane Verbena Discovery Collection, a gift set featuring travel-sized beauty favourites scented with freshly squeezed lemons. The invigorating set contains everything they need for an uplifting top-to-toe ritual, including the Shower Gel, Body Lotion, Hand Cream, Fragrance and Soap all contained in a gorgeous lemon yellow make-up bag. And to round off our guide, a mix of heritage and modernity. Roger & Gallet soaps have been manufactured using a traditional cauldron method since the brand’s inception, with a triple milled process that ensures each soap holds their shape and remains richly fragranced right down to the last use. In this chic set you’ll find the distinctly modern scents of exotic Fleur d’Osmanthus and sunkissed Bois d’Orange, and the classic aromas of vanilla-tinged Rose and citrus-fresh Jean Marie Farina. Discover Christmas, Escentual-style with our huge range of gifts. Shop now! This entry was posted on Thursday, November 27th, 2014 at 10:55 am and is filed under Christmas, Christmas Gifts, Gifts, Gifts. You can follow any responses to this entry through the RSS 2.0 feed. You can skip to the end and leave a response. Pinging is currently not allowed.